Looking for the perfect Dunn Landscaping Company but don’t know which company to trust? We realize that this can seem like a puzzling and daunting job, until you realize the obvious answer is Ground Pounders Landscaping. Over the course of the past decade, we have been showing the local customer base here just what makes us stand out from our competitors. It all boils down to the stunning final results that we leave behind, paired with the exception customer care that we always provide. Too few home and business owners take seriously enough the severity of choosing just the right team to work with for this type of work. For the best in both commercial and residential services, we are the team that will make it happen for you. From start to finish, we walk you through the process and make sure that you understand what is happening and how to make important choices. We are a full service team of pros and that makes all the difference in the results that you get. Maybe you have even worked with another landscaper before but didn’t love the work that was done. The good news is that we take this work seriously and this is reflected in the results that we provide for every customer, every time. Too many so-called pros claim they have a passion for landscaping but then admit this is only side work they do in addition to something like installing vinyl siding. This is all that we do which enables us to focus on the work that we know, love and do best, so call right now in order to get started. As a full service company, we will be there from start to end which means design and maintenance. Most companies focus on providing one or the other but we like to be able to offer both. 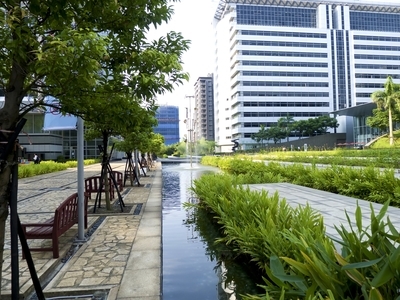 What is the point of installing expert landscaping work but not being that to maintain the hard work that has been invested. We don’t want you to have to settle for less than the best when it comes to any aspect of your landscaping service, so call on us to take care of your projects all the way through. You will be glad to know that we will also be there for a variety of other services you may need, related to exterior renovations – like hardscapes and patios. Add to the beauty and functionality of your yard by letting us incorporate one or more of these options. 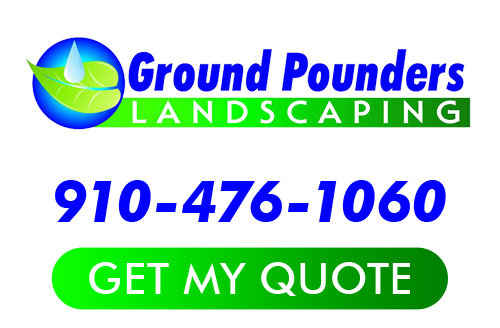 So for all of your high quality Dunn landscaper services, Ground Pounders Landscaping is the number one name that you need to know and can trust in to get the job done for you. If you are looking for a Dunn Landscaping Company then please call 910-476-1060 or complete our online request form.